The world around John crumbles as she struggles for the control she believes she deserves. This unique perspective, King John portrayed by a woman, explored the struggles of a usurping leader within a society of sexism. Audiences watched as she and those around her grappled with loyalty, morality, and what they are willing to sacrifice to get what they truly want. King John is a story of power that corrupts, a poison in the soul to which no one is immune. The show is one of Shakespeare’s least-produced plays, but Hamlet Isn’t Dead’s production breathed new life into centuries-old history. 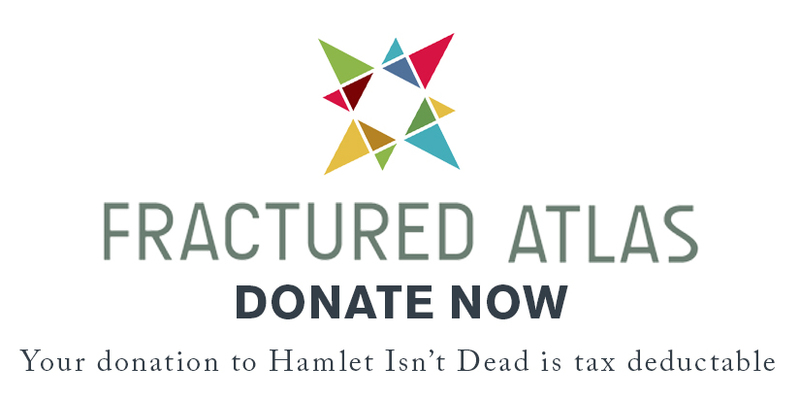 Hamlet Isn’t Dead was also happy to partner with Artists Striving to End Poverty for this production.